TOP MPEG to iPhone Converter for Mac can convert MPEG-1, SVCD, etc to MPEG-4. Free software program downloads from the best in download directories! Investigate the featured software groups, watch the most recent versions of the cool programmes, and download instantly! Do not toss away an advantage to get the best apps: apply SoftEmpire directory to download apps for free. Check out the library of free programs and software trials. Search among computer utilities, get planners, games, and all other kinds of tools for your computer or digital stuff! 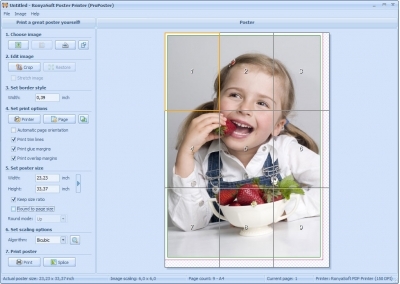 RonyaSoft Poster Printer is a software program to make banners, signs and posters from any image, digital photo, Microsoft Word, Excel, or from a scanner. It creates huge posters with the size up to 10 x 10 meters. Print a great poster yourself!